The most popular kind of fiction (in terms of sales) is, by a huge margin, the romance genre. And that makes sense to me. Falling in love is a major focus in our culture. I’d say it’s even more important than finding the right work, since, for most people, the latter is a pretty constricted thing: people generally only have access to a few occupations, and most of those aren’t very much fun. Whereas there’s _always_ the possibility that you’ll fall in love, and your whole life will be transformed. But the second most popular genre are mysteries. And what is up with that? Murder is an extremely uncommon thing in our culture. And most murders aren’t particularly mysterious. They’re one spouse killing each another, or maybe someone flying off the handle during an argument. Nor does murder feel, to me, like a particularly common wish-fulfillment scenario. I consider myself a pretty evil-minded person, but there aren’t very many people who I’d want to murder. Also, it feels like the the nexus of identification during a mystery novel is usually with the detective: the person who solves the crime and brings the murderer to justice. So what’s the appeal? And why is that appeal particularly strong during this day and age? I don’t know, maybe it’s that we live in a time of decreasing social mobility, when people are working more hours and earning less, and people want to be reassuring that stepping outside the system is actually a doomed scenario. They want to be reassured that justice will out and criminals will always be caught, because otherwise their decision to refrain from committing crimes would be more difficult. That feels particularly true of the crop of anti-hero shows. They’re a weird sort of wish-fulfillment. It feels as though people want to imagine what it’d be like to be a meth kingpin or Jersey gangster, but they also want to be reassured that those lives are ultimately difficult, doomed, and unsatisfying. Also weird: all the shows where the heroes are cops. 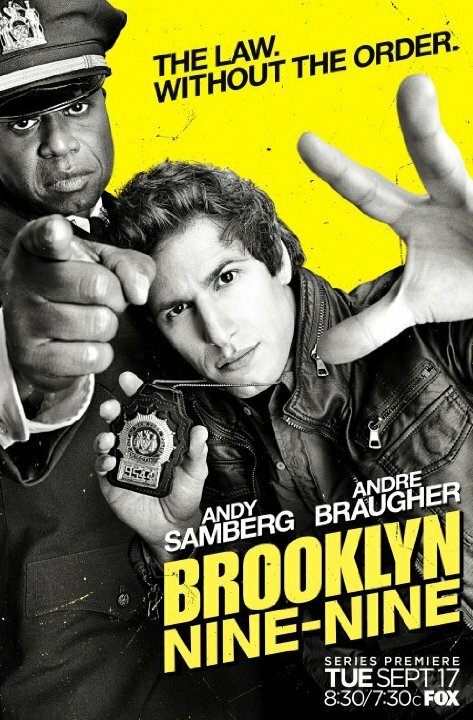 Like, it’s strange to think that the heroes of Law and Order and Brooklyn Nine-Nine are the NYPD: the same cops who’re so frequently the target of all this controversy. It’d be easy to say that cop shows are only enjoyed by conservative and retrograde parts of society, but that’s obviously not true. For instance, I love a number of cop shows, even though I’m not particularly enamored of real cops. Oh well, a hundred years from now, some French sociologist will explicate this for the benefit of everyone who’s still alive. I haven’t read much mystery fic that isn’t outdated, but I keep thinking of it as an outdated genre (which is an oxymoronic statement, of course, if not plain moronic). Besides the fact that murder isn’t all that common, isn’t regular sleuthing just too easy in this day and age? People leave their online/IRL footprints all over the place. The world has very little scope for another Sherlock Holmes. What does modern mystery fiction really run on? Action? Just pure suspension of belief? I cannot imagine. I don’t exactly know if the act of solving a murder has really been made revolutionized by the internet or by all that CSI stuff, since there are still very real limits to what all that can do. I think modern mysteries are still mostly about figuring out motive: why would someone want to kill this person?